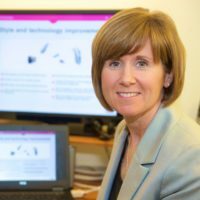 We provide Hearing tests and dispense the latest digital hearing instruments. We also offer an ear care service including ear wax removal using ear irrigation or micro suction methods. Healthwise is a well established, independent health food shop, situated in a grade two listed building at the top of Fore Street in Kingsbridge, opposite the Shambles. My name is Irene Jeeninga. I took over the business in 1999 and run the shop with 4 part-time staff. We give friendly service and knowledgeable advice, and always try to order you items we do not normally stock. Our shop front opens into a veritable alladins cave of all your health needs. This is a glimpse into the products and brands that we stock, but please do call in and see us or give us a ring on 01548 857707. Optometrist - Kingsbridge Eye Care Group consists of 3 shops, one based at Modbury - Nigel Frost Optometrist, one in Salcombe - Salcombe Eye Care and Kingsbridge - Kingsbridge Eye Care. The Group aim to give the best choice in looking after the health of your eyes. We have invested in the latest technology and with our experienced qualified opticians we offer advice on all aspects of eye care. We offer a large range of top quality and top name ophthalmic frames and sunglasses. Fashion conscious professionals with a caring and courteous approach. From the moment you walk in we aim to make you feel special. We offer a full range of hair and beauty treatments that can be tailored to suit your requirements. I have many years experience in dealing with all types of first aid incidents in leisure centres. I bring this practical experience to the classroom and deliver first class first aid knowledge to my pupils in a simple and effective way. My teaching experience includes delivering first aid and lifesaving techniques to leisure centre staff on a regular basis for many years as well as delivering first aid courses to the business community in the South Devon area. I have a level 4 PTLLS teaching qualification. All my courses are certificated. Do you dream of a life with less stress, better sleep, more energy, feeling happier? If so, Simply Soulful Yoga may be able to help you. Improve your physical and emotional well-being with yoga, SUP and therapeutic holistic treatments. 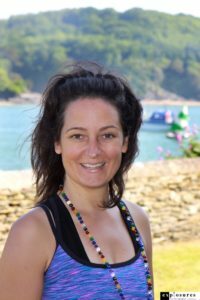 Yoga classes, one to ones, workshops and retreats are offered in Salcombe, Kingsbridge and further afield; and Stand Up Paddle boarding (SUP) general sessions and SUP Yoga classes run in Kingsbridge. My classes are small and friendly, focusing on movement (asana) married with breath work (pranayama), to allow you to benefit from a sense of deep relaxation and enhanced mind-body connection. An oasis of peace, calm and tranquillity, The Haven offers a place to escape the pressures of everyday life. We offer a range of treatments for men and women, including massages, facials, body treatments, manicures, pedicures, waxing, spray tanning and eyelash and brow enhancement. Our flagship day spa in Exeter also offers 1500sqft of Thermal Suite where you can experience our sauna, aroma room, heated foot spas, heated loungers, Jacuzzi and Relaxation Room. Whatever your goals, The Haven Spa has something for you.